2018 is here. Let us make this year, one of good management and good maintenance. 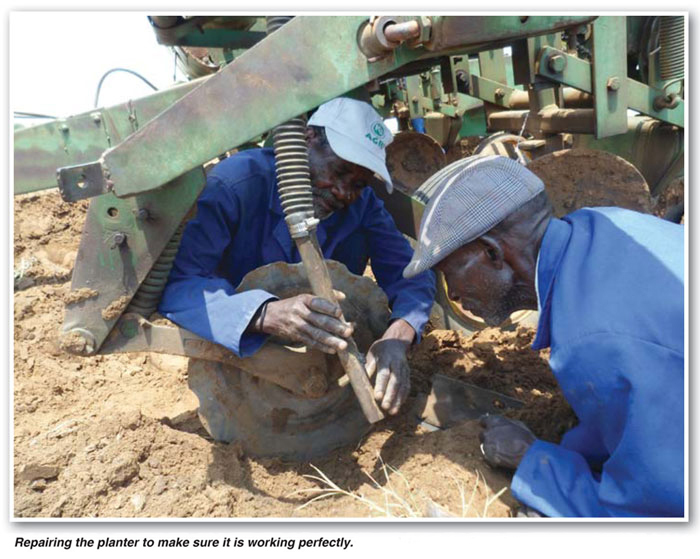 I know that this is a common topic of discussion in the Pula Imvula but it can never be stressed enough as it is one of the foundations of a good farming operation. As farmers, we usually hit the road running in the New Year as January and February is a very busy time of year for us. But we cannot let the busy season prevent us from having good management practices. Our capital outlay on our equipment is too great to neglect this aspect of our business. 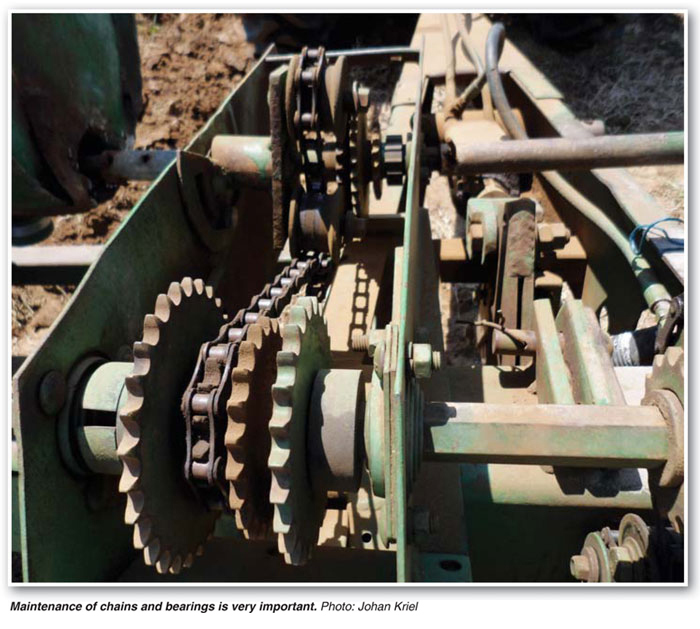 Our farming machines and implements are made up of many intricate parts, parts that move, spin, turn, twist and shake. All of this causes wear and tear and therefore requires routine maintenance in order to keep them operating without any problems. Time is too valuable to have constant hold ups which prevent us from getting our tasks done timeously. Just this month I have been battling with a tractor that keeps having ‘niggles’ and I keep thinking to myself that had I been more thorough in the quiet time perhaps I wouldn’t be in this predicament now. Start by focussing on primary machinery. These are our machines and implements that we rely on. These will need the most of your attention as they more often than not do the most work. On each machine or implement identify the parts that take the most strain such as bearings and belts and get them working like they should. Be thorough and always do a double check once you are finished to make sure that all nuts and bolts are tightened. It is easy to overlook something. Finally, move it out of the working space to where it can easily be hooked up. If you like you can take it for a short test run nearby to be sure that all is working well. 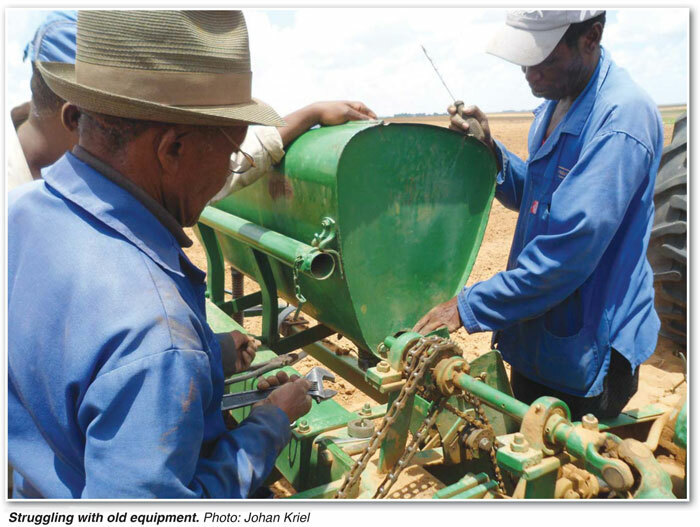 Whilst using the equipment in the field, we cannot afford to abuse our machines. We need to give them the correct care and attention that they need at all times. Usually the best method is to instil a routine in your labour which they practice on a daily basis. This routine should be performed every morning before the work starts. Be sure to check things like chains and bearings daily as well as oil levels and fuel. It is good practice to have a portable maintenance kit which has tools and grease and spares close at hand. These checks may very possibly save you an unwanted stop, which would more often than not happen at the worst possible time. So, don’t be slack about it, rather be proactive and save time and money in the long run. Our good efforts at maintenance cannot stop there. As you are well aware anything that works in the field needs continuous attention. We can’t be good about our maintenance right through the season and then let it slip once the planting season is over. Be sure to go through all machinery after the busy work is complete. Do a good inspection on everything because even though it might have still been working well when you finished the job, it does not mean that something might not need replacing. Here are some tips as to how you can care for your machines before you put them away for a while. Firstly, everything can be given a good power wash to get rid of all soil and dirt. After a good wash, all ploughs and discs should be brushed down with a light coat of old oil to prevent rusting. Bearings should be greased and hydraulic hose nozzles covered so that they are protected from the elements. All remaining seed in planter bins must be removed. Fertiliser hoppers on planters and spreaders must also cleaned out to prevent rust, this is essential as fertiliser is very corrosive. All chains must be checked and oiled, many farmers even take them off during the down season and store them in the shed. The same can be said for planter plates and fingers. Chemical sprays must be cleaned out with fresh water, nozzles should be cleaned, removed and stored away in the shed.